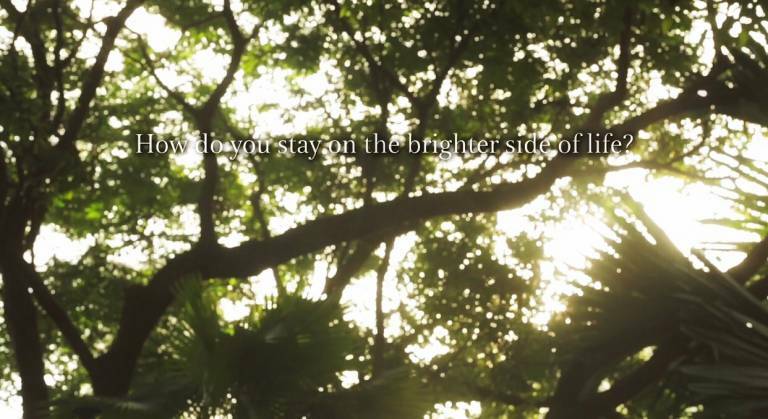 How Do You Stay On the Brighter Side of Life? That’s my take on life. I prefer to walk the brighter path, to steer my thoughts into positive lights and share joy. So I choose brightness and positivity, choose to embrace rather than shun away when challenges come knocking at the door. And to prep my mind and soul, I choose nature. Simple as it sounds, nature calms us, buffers us against the stress of everyday life. 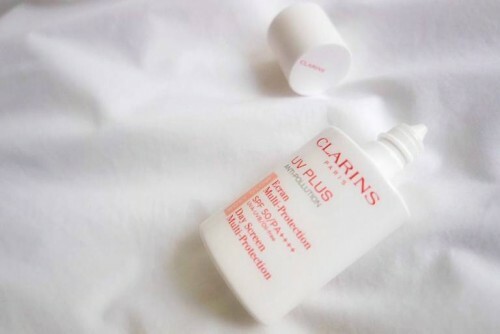 Perhaps the reason why I chose Clarins as one of my earliest skincare brands at 17 years old and continue on till this day. That’s close to three decades as a Clarins user. 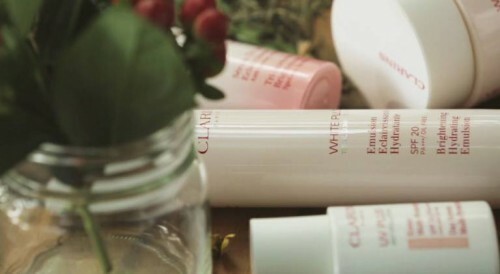 The brand’s love for plants, for nature, for earth and how it uses plant extracts to create beauty products is what draws me to Clarins. And to illustrate on the effectiveness of the products I have tried in all these years, I’d need a separate sit down coffee session! :) For now, let’s get back to staying bright with the brightening range White Plus, which is the highlight of my thoughts today. So, how else do we stay on the brighter side of life? Set a routine we can follow religiously that suits our skin type, concerns, lifestyle and our needs best. Listen to your skin. For me, I love starting the day with fresh, radiant skin using brightening products in the morning and sunscreen to ensure I’m well-protected against UV rays and pollution for the long day out. A thorough cleansing is important in the evening to remove makeup and impurities so as to prep my skin for deeper penetration of our skincare overnight. Treat and sleep. 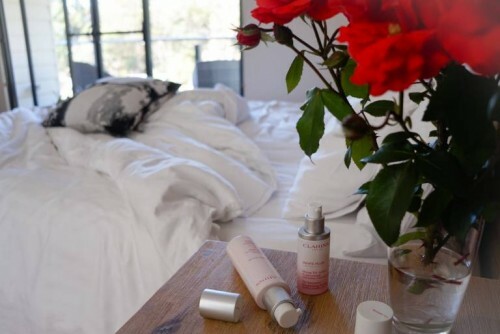 Beauty mantra may sound demanding but the same philosophy applies, we get to decide how we want to go about with our skincare regime. 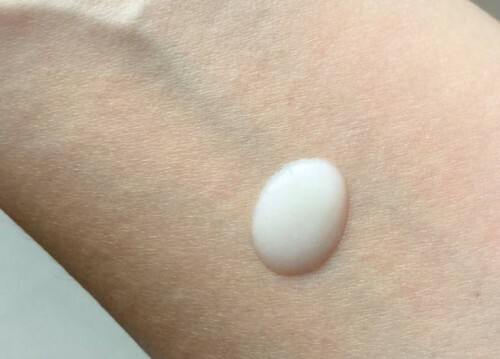 Just don’t go crossing the street and walking in the sunshine without your SPF! Ha! Seize the Day, Start Early! How I love the freshest of fresh air in the morning! There’s a sense of stillness, the scent of fresh plants and cool morning mist. Skin feels fresh, energetic and alive. Pollution-free air also enhances the absorption of vitamin D which is essential for a glowy skin. A refreshing shower, a cup of tea, skincare treats and we are good to go! 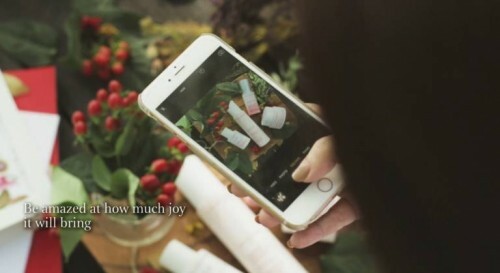 Let me walk you through a day of my journey with Clarins. After light cleansing and toning in the morning, this is the brightening serum I have been using the past weeks. Firstly, this light baby pink serum smells great with a floral fruity scent to it. 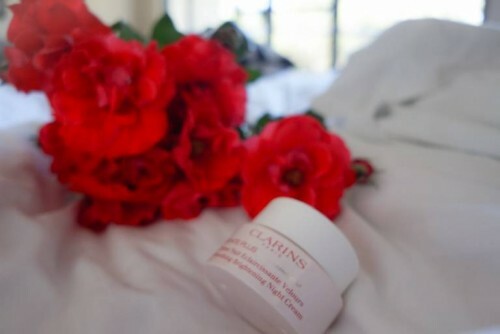 It absorbs quickly and does not feel thick when layered over my Clarins Shaping Facial Lift. Alternatively, like how I apply my masks at the same time on different parts of the face, serum can also be applied the same way. In my case, I apply the Shaping Facial Lift over my neck and chin area only and have the brightening serum layered over it and the rest of the face. This way you do not need to compromise on the lifting. Both can be done simultaneously. As the name suggests, this serum is about controlling skin translucency in three key elements; CONTRAST (anti-dark spot action), COLOR (fairness, brightness and evenness) and CLARITY (translucency and a healthy glow). It does it by incorporating acerola fruit and seed extracts (that may explain the fruity scent) combined with whitening plant extracts and made possible with a major scientific breakthrough in understanding over pigmentation through the MELA-EXO-SYSTEM which slows down all the processes for distribution of melanin in the epidermis. Next, apply the day moisturizer over the serum with light pressing motions on the face, neck and decollete. This white milky emulsion clarifies skin and gives that instant glow with a silky matte finish, great as a base for makeup application. Hydrating, soft and bouncy. The Trans-Luminescent Complex combines the most effective ingredients to reactive the skin’s reflective surfaces, its ‘micro-mirrors’. 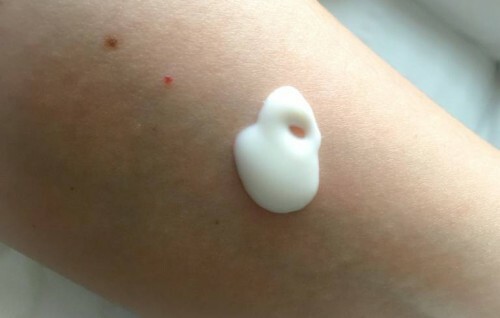 Along with SPF 20PA+++, skin is clear and protected. And speaking of pollution earlier, this sunscreen has a better protection against pollution and haze. 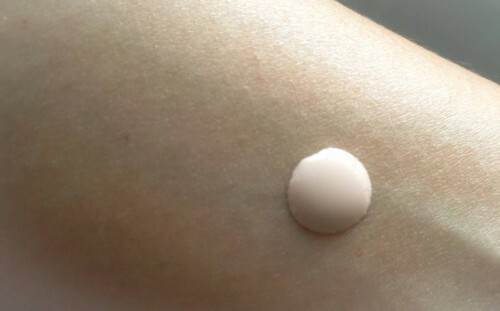 It has also longer protection of 10 hours and a high protection of SPF. It feels good on the skin, is lightweight and oil-free. It’s no wonder many have raved about it. Formulated with plant extracts such as alpine sanicle, it comes tinted in three shades to choose from, dependent on the skin and finish you desire. Baby Blue for fairer and more even skin tone, minimising redness and dark spots. Neutral shade for a transparent finish. Baby Pink (which is my favourite!) for luminosity on dull complexions. To test on the full effect of this brightening range, I continued with brightening ritual in the night to complete the full cycle. Apply it on a cleansed skin from middle of the face to the sides. I love covering my face with my warm palms and let the heat help the cream penetrate deeper, take few deep breaths and follow through with light pressing motions. 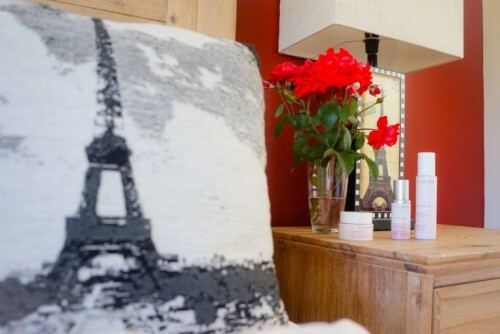 Go over the neck and decollete though in my case, I use the Clarins Firming Neck Cream. With brightening complex of Raspberry and Alchemilla extracts and Vitamin C, this cream helps counteract the effects of daytime stress. It minimizes dark spots, freckles and discolourations for a radiant, even complexion in the morning! With all the benefits mentioned, now we need time to take it all in! Be it a hectic day, swamped with work and errands which is normally the case, it is all about making time for ourselves. If we can make time for errands, work and all, how about making time for our well-being? A short 15 mins can do wonders. You’d be amazed! 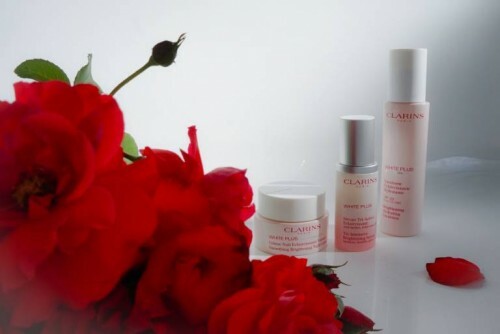 With Clarins brightening range, it has provided me a full cycle of brightening, protection and nourishment in a day. In the past weeks, I have noticed brighter, clearer skin. 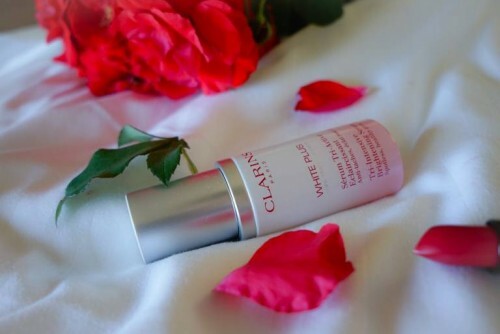 With brightening products, we can at times feel irritation or dehydration but with Clarins White Plus, my combi skin of oily t-zone and dehydrated cheeks remains supple and hydrated. This range is also versatile, easily adopted into our existing skincare routine and beauty mantra. In that sense, I felt that I had taken control of my skin’s translucency. 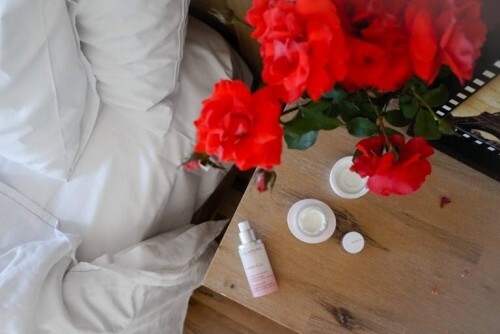 I have a serum to turn on a spotless glow, an emulsion that clarifies and provide instant radiance, a tinted Anti-UV, Anti-Pollution, Anti-Age which addresses my skin tone and multi-protection and a night cream that soothes, regenerates, and hydrates skin. Now it’s time to turn on that spotless glow and see the world with positivity and grace. 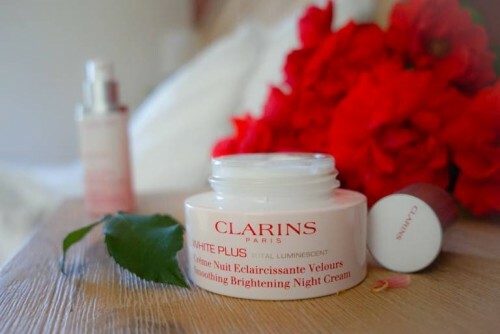 The Collection is available at all Clarins counters islandwide and Clarins online.